For a full refund, cancellation must be made 48 hours prior to the arrival date. Charge the first night when a guest cancels a booking within 48 hours of arrival. Do refund via bank transfer or to credit card and refund transaction fees must be paid by customers. A deposit can be charged prior to your arrival. Group booking requires 10 % deposit (Non-refundable) to confirm a reservation and $200 bond is required for damages and will be refunded upon departure into a nominated bank account provided. Full amount payments must be paid 7 days before the arrival date for group booking. We can't accept booking modification 5 days before check-in or after full payment for group booking. No Cash payment policy. Please pay by your debit or credit card in principle. Our check-in time is between 2 pm and 10 pm, After 10 pm, late check-in must be prearranged before arrival. Request your photo ID and may ask $10 for a key deposit on arrival. We will return your key deposit on check-out. The parking is first come first serve basis and need to get the parking pass at the reception. No drugs and alcohol permitted on-site. The hostel does not allow the presence of animals. In case of violation of the regulations, hostel reserves the right to remove the guest from the hostel for good - without any refunds given. All guests under the age of 18 must be accompanied by a responsible adult who has parental rights and responsibilities for the under 18-year-old guest. Would you like to receive promo codes? 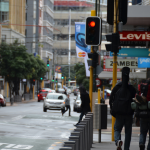 As our name suggests, we are located in the heart of Hamiltons CBD on the main street. minutes away from Hamilton Transport Centre. Modern, safe (24hr access with electronic swipe key), clean and affordable within 7 minutes (6 minutes from the transit centre!) to most amenities. 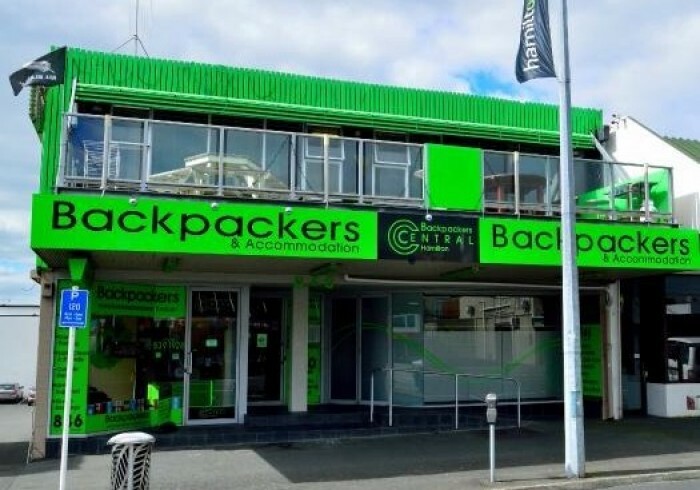 We know backpackers well so have everything they need. High-Speed unlimited WiFi, free breakfast, free big lockers(4 bed dorm rooms only), free car park, free coffee and tea, well-appointed kitchens, guest laundry, nice terrace, Luggage Storage, etc. A range of bed options from dorm (up to 6 bunk beds) to fully furnished single and double rooms. Group bookings are our specialty as we have 38 dorm beds, 11 doubles, 3 twins, 1 triples, 1 family and 10 singles. Our backpackers' central team is always ready to provide personalized service should you need anything at all. Your satisfaction is our goal, Arrive as guests, Leave as friends!